A lovingly restored a truly stunning Grade II* listed building in the historic Royal William Yard in Plymouth. They’ve taken the time, care and attention to use traditional craftsmen and building methods to bring the house back to its former glory, full of Georgian features. 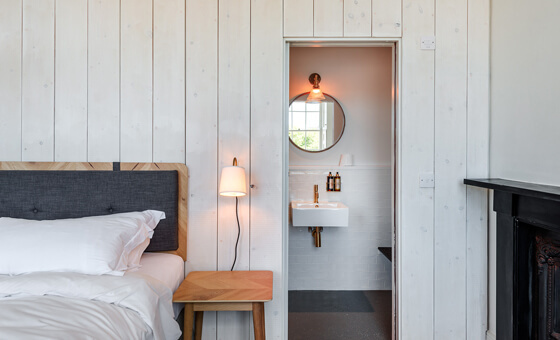 Their collection of 14 stylish, simply appointed bedrooms are filled with periodic architectural charm and are the ideal place to relax after a day of exploring the stunning area. Rooms are located just across the green from our bistrot where you can enjoy breakfast, lunch and dinner during your stay.